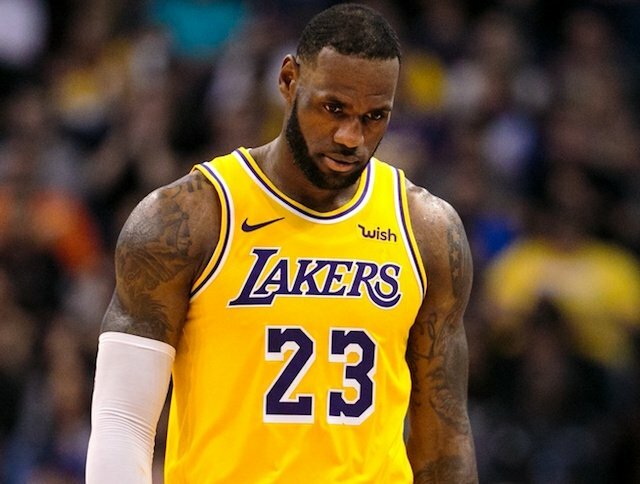 LeBron James was shut down at the end of March for the season with the Lakers eliminated from playoff contention and no need to risk injury to one of the biggest stars in the NBA. The season is now over and an offseason with a lot of uncertainty looms. What if this is the future for the Lakers though? What if LeBron sitting out the last few weeks to rest in hopes he can be full strength for the next season so the Lakers can become title contenders becomes the new normal for April each season? Magic Johnson surprisingly resigned as President of the Lakers last night. Being mentored by Magic was supposedly one of LeBron’s motivations for moving to the Lakers last year. Will Magic no longer being involved with the Lakers make them a less desirable destination? It was a given that LeBron would join the Lakers in the 2018 offseason. It had been speculated for over a year. However, LeBron wasn’t joined by another big name player. Instead, the Lakers cobbled together a team of misfits to join the youngsters as Lance Stephenson, Rajon Rondo and JaVale McGee put on the purple and gold alongside Brandon Ingram, Kyle Kuzma and Lonzo Ball. Is Kevin Durant right? Is the environment around Lebron toxic? Will LeBron and the Lakers be able to attract another star that can at least make the Lakers a 2020 playoff team? Does someone want to play alongside LeBron? What if Kawhi joins the crosstown Clippers? What if Klay Thompson stays with the Warriors? What if Kyrie and KD become Knicks? What if the Pelicans again refuse to trade Anthony Davis to the Lakers? Assuming the Lakers don’t move up in the lottery and pick 11th, will that player be the difference maker that gets the Lakers into the 2020 NBA playoffs? The Lakers have to get a difference maker to move up into the top eight Western Conference teams next season but who wants to be LeBron’s sidekick as a Laker? What star wants to come to town to be overshadowed by Lebron? LeBron didn’t seem to move to the Lakers to win. It was more of a lifestyle decision. He wanted to be in Los Angeles to do more off the court. Missing the playoffs this season, will give him a full offseason to pursue other projects and rest his body. What if that’s not sure the present for the Lakers but the future as well? It’s time to be concerned Lakers fans. This organization is not near title contention. It needs a major shakeup. Is LeBron content just being a Laker and living in LA? Can he build a title team around him? Questions abound for the Lakers as the offseason is now underway for them. The answers will tell us if it’s time to lower expectations for the LeBron era in LA. Check out our data driven NBA predictions.